An apex predator is an animal at the top of the food chain, with prey to hunt, but no predator to fear. They are the royalty of an ecosystem. Beasts are often used as symbols to explain the abstractions of finance. We have “bull markets”, where “animal spirits” are on display, and “bear markets” in which “dead cat” bounces occur in stock prices. Financial institutions often adopt animals as their logos. Within the financial ecosystem then, who is the apex predator? Goldman Sachs has been described as the “great vampire squid wrapped around the face of humanity” – surely there can’t be many predators above that. But from my perspective, at the peak of this ecosystem, an eagle flies. I share a snippet from the latest issue of London Investment Alert below, in which Tim Price speaks on the birth of the predator known as the Federal Reserve System, that flies miles high in the sky, unaccountable and independent, before striking down to cause incredible damage. The scariest conspiracies are the ones that happen to be real. In the manner of the classics, like the Quatermass films or the comparably chilling Invasion of the Body Snatchers, the protagonist is never believed, at least until the final reel, and sometimes not even then. The following conspiracy does happen to be real, and it is one that affects all of us. G. Edward Griffin, in his book The Creature from Jekyll Island, explains how the US Federal Reserve, for example, was conceived. I single out the Fed because, as the central bank of the largest economy in the world, it is by definition the most important central bank in the world. On a cold November night in 1910, a handful of financiers boarded a private railway car in conditions of extreme secrecy at the New Jersey railway station. The passengers included the Republican whip in the Senate and a business associate of the banker J.P. Morgan; the assistant secretary of the US Treasury; the president of the National City Bank of New York, the most powerful bank of the time; a senior partner of the J.P. Morgan bank; the head of J.P. Morgan’s Bankers Trust Company; and a representative of the Rothschild banking dynasty in England and France. Of the six passengers, in other words, five of them were representatives of private banks. You only have to look to modern Bilderberg meetings to see how conspiracies can run wild when a group of men this powerful come together. Those financiers would go on to meet in secret at a remote location owned by J.P. Morgan and several of his business associates, where visitors would gather in the winter to hunt wild ducks. The name of this remote retreat: Jekyll Island. How to reverse the growing influence of small commercial banking rivals and concentrate financial power among themselves. How to allow the money supply to expand so that they could retake control of the industrial loan market. How to consolidate the modest reserves of the country’s banks into one large reserve and standardise each bank’s loan-to-deposit ratios, thus protecting themselves from the possibility of bank runs. How to shift any ultimate losses incurred by the banks on to taxpayers. How to convince the US government that the scheme was established to protect the public – as opposed to protecting the interests of a private banking cartel. Perhaps most cynically of all, to address this fifth problem, the group decided to adopt the structure of a central bank and, furthermore, ditch the use of the word bank altogether, in favour of a coinage that would evoke the image of the federal government instead. 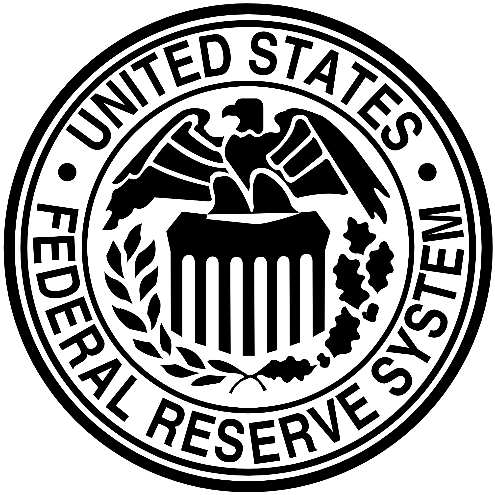 Three years later, after the passing of the resultant bill in Congress on 23 December1913 (ie, in a thinly attended meeting, rushed through just before Christmas), the US Federal Reserve was born. Few could deny the latter point. Rather than maintain a narrow focus on managing the money supply, the Fed is now figuratively all over the shop, its fingerprints evident everywhere across the economy. Just some of the “broad” oversight it lists can include monetary affairs, international finance and information technology. The Fed insists on saving us from ‘everyday low prices’ – they call it deflation. I submit that in a world of technological wonder, prices ought to be weakening: it costs less to buy things because it costs less to make them. This benign tendency the Fed resists at every turn. It wants the price level (as it defines it) to rise by two percent a year, plus or minus. In so doing, it creates redundant credit that finds its way into other things. These excess dollars do mischief. On Wall Street we call this mischief a bull market and we’re generally all in favour of it. The Fed, in substance if not in name, is [still] engaged in a massive experiment in price control. (They don’t call it that.) But they fix the Fed Funds rate, they manipulate the yield curve… they talk up the stock market. They have their fingers and their thumbs on the scale of finance. To change the metaphor, we all live to a degree in a valuation ‘hall of mirrors’. Who knows what value is when the Fed fixes the determining interest rate at zero? So I said ‘experiment in price control’ but there is no real suspense about how price control turns out. It turns out, invariably, badly.